A West Bank Demerara man is dead as a result of a freak drowning Sunday. 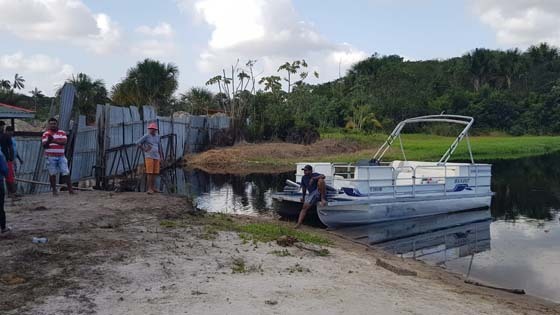 According to reports, Dinesh Ramdas, said to be from Coglan Dam, West Bank Demerara, went with friends to Yarrowkabra, for an outing on Sunday. The search ongoing yesterday morning. Outside of the Splashmin’s Resort, Ramdas, 25, was in the water playing with a ball. He reportedly went under the fence that separates the resort from the area outside to recover the ball that had been thrown or hit over the protection fence..